Have you ever wondered who it is you really should listen to when it comes to essential oils safety? For example, it seems like there are generally two camps when it comes to ingesting oils. One says to never ever use them internally. The other camp says to be liberal with internal use. The first camp says the second is irresponsible and undereducated. The second camp says the first is hiding adulteration in their oils, trying to control the industry…and is undereducated. Can’t we just get a straight answer? Well, in the spirit of the ongoing Skeptic’s Guide to Essential Oils series, I set out to find a straight answer. 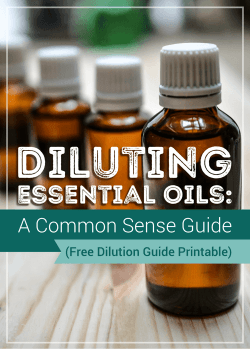 I’m going to examine three groups that you may be looking to as your essential oils authority—whether you know it or not. Then I’ll give you my recommendation based on the research. When you are reading about an essential oils “expert,” you need to be cautious. 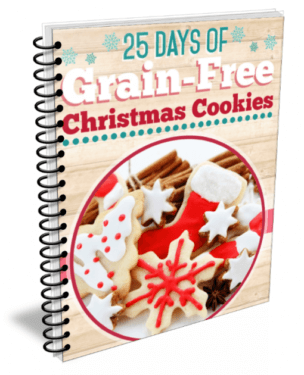 The reason is because the term “expert” has become somewhat of a self-proclaimed title among a handful of essential oils suppliers in the world who not only source most of the companies out there, but also have a hand in a lot of the marketing and consumer information you will find. This is a similar situation as the “therapeutic-grade” label that came out of a popular MLM’s marketing strategy a while back. Not familiar with that issue? 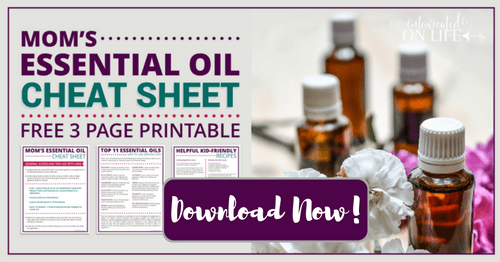 Basically, there is no standard of therapeutic value that is defined and applied across the essential oils market. Companies can define for themselves what “therapeutic-grade” means. Yet those companies will claim the “therapeutic grade” banner as if it is an official and objective mark of quality. On the other hand, you will often find experienced EO users talking about the therapeutic value of essential oils, and that’s a perfectly valid way of discussing quality. It can be confusing until you become familiar with the jargon and are aware of who is sourcing the information you are reading. 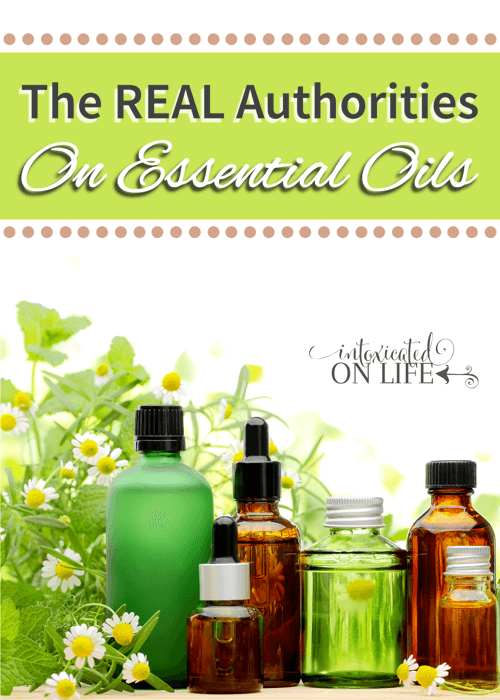 For more on this issue, see Choosing an Essential Oils Company. 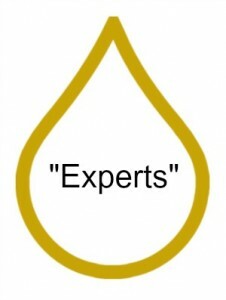 The “Expert” label is a marketing strategy, much like “theraputic-grade.” You will hear the term “expert” during essential oils conversations and it could mean an experienced practitioner and a balanced source of information, or it could mean a supplier of mass produced oils and marketing schemes. Just be aware. For more information, start with 20 Critical Questions Answered About Essential Oils. Overpriced. There are companies with products at least on par with MLMs that are less expensive. You definitely get what you pay for, so be cautious about super cheap oils. However, paying even more for marketing hype and structures is not in my budget. Rocky Mountain Oils is my preferred company because of quality and customer service. They sell lavender, for example, at about $10 cheaper per bottle than the MLMs. There are likely other companies as awesome as NAN, but this is the one I’ve landed on after extensive research. Questionable Marketing Practices. All the MLMs say their oils are the only ones that should be used because of their superior quality, and use those made up labels like “therapeutic-grade” to put weight behind their claims. I think that’s a bit shady. It’s caused a lot of confusion and makes me wonder whether there are more areas where they are being intentionally misleading. Strangely Fierce Loyalty. I know several people who love MLM oils and just want to be a part of it and use their oils at discount. They may use it to supplement their family income or just sell the oils at cost to friends. I think that’s great. They’ve found a good fit for them and that’s what matters. However, there are others that are strangely fierce in their loyalty and will simply regurgitate information they are fed by the company in order to defend it. They get ugly and launch personal attacks when people say they would rather go with another company or aren’t interested in MLMs. It’s weird. I don’t think MLMs are worth it. There are other companies out there with excellent, high quality products at more reasonable prices, and I don’t have to be in an MLM club. If you belong to an MLM and love it, I think that’s great! My hope is that each of us would use common sense and take responsibility to research on our own about essential oils so that we can make the best choices for our families. Have you ever noticed that at the end of nearly every blog post, and many web articles, the writer says something like “use caution, and when in doubt, consult a certified aromatherapist.” Why do you think that is? To cover their rears? Maybe. I think it’s because very few people have an answer they’re confident in, so they throw that in there. Well, I did some digging into aromatherapy certifications and revisited the whole internal use debate. Join me next week for that and my recommendation on who you should trust about essential oils. I was very skeptical about therapeutic grade oils…but was desperate for relief in my feet for neuropathy…tried over the counter cypress, tried young living, no results. Tried doTerra brand cypres and got immediate relief from nerve discomfort, ache, and soreness. Had tried everything out there. Now I swear by it. Never have taken oils internally, though. That’s wonderful to hear you’ve been able to find relief from your neuropathy! one must also remember, in many cases…the higher prices from reputable companies are actually because they are certified pure. It’s not so much a matter of some companies blaring THERAPUTIC GRADE. it simply means their companies have spent the time and money to have their product tested and certified as a pure and/or an organic source. Rightly, i do not want some cheap oil version that is a few drops of oil based in a dilutant! (which many “lesser” oils are..and mind you, companies do NOT have to label their oils as diluted!) It’s pretty much the same when it comes to vitamin supplements, I will shop and pay the prices at GNC over SuperSupplements because GNC pays for third party testing on their products of purity and potency. Therefore making themselves a name in high quality supplements. Yes, one should do their research, but dig a litter deeper and be a bit more honest in your findings. Leaving out key information about companies using 3rd party testing makes a big difference! “Leaving out key information about companies using 3rd party testing makes a big difference!” There are several companies that use 3d party testing to ensure quality. I’m not sure this is a good argument for trusting that the higher prices of certain oil companies is due to quality. As I said, it wouldn’t be a good idea to buy cheap oils just because they’re cheap and expect them to be the same quality. However, I still think that many of the most expensive oil brands cost that much because of marketing and structure rather than quality. From the research I have done (see the other posts I linked to in the article) there are good essential oils companies that sell oils cheaper than the MLMs and yet have just as high quality, if not more so. “Certified pure” is also marketing, btw. There’s no governing body that regulates oils and gives a stamp of certification for purity. The best bet is to thoroughly research the company and oils in general to choose the right one for you. Spot on. Actually Wild harvested oils are better than farmed. They have a greater range and higher levels of therapeutic compounds. Hydrosols ( made from the liquid steam of the plant when distilling) is also good for kids. Nether MLM company offers these. I’ve found 2 companies, that offer pure,,organic, certified organic, no synthetic extenders used, ect that do offer wild harvested oils. They are a nite and day difference. The MLM peppermint smells like a candy cane where wild harvested is crisp, clean…works quicker ,need less drops. Needless to say, I’ve defected over from the MLM . But then I’m not out to build a business or profits. I have lots of the MLM oils in my case along side NAN and OI. Wild crafted oils from these 2 companies wins hands down. I’ll have to check out Organic infusions, thanks! I’ve heard good things about using hydrosols but haven’t tried them. Will put that o my list! I’ve not heard of Organic Infusions, would appreciate more info on them. A quick look at their website shows lower prices and larger quantity options than NAN or Rocky Mountain provide, if the quality is comparable this might be a good option. This is a good point. 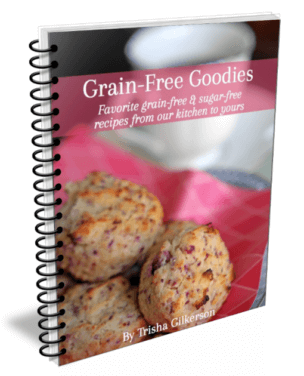 USDA Organic and FairTrade are certifications that contribute to the cost of the oil. These certifications can be tens of thousands per batch. This has a on effect on price. However, “Certified Pure Therapeutic Grade” is actually a term that Doterra developed and trademarked themselves. So it doesn’t cost them a penny to put that on their bottles (minus the $500 every few years to renew the trademark in general). “Pure Therapeutic Grade” is the other one we hear a lot about and it too, isn’t a real certification so it doesn’t effect any cost to the oil. So some of them effect the cost of the oil, while others do not. But that’s a very good observation that a lot of people don’t realize. 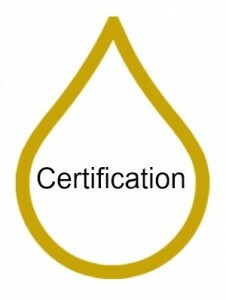 They want hundreds of these certifications and don’t realize that the company selling them is listening to you, but they have to decide which ones to look into because if they just did them all, then the oil would be so expensive no one could afford to buy it. Yes it costs to get USDA certified organic and one would assume that would drive the price up, yet Organic Infusions oils cost much LESS than Young Living and I can clearly tell! Essential oil is so concentrated that I cannot understand why anyone would use oil that is not certified organic or certified wildcrafted. “Purity” doesn’t define whether or not a product is more or less effective or safe. How “pure” would you like your heroin and arsenic to be? I would use caution when stating “ALL MLM Companies…do or say such and such”. While some reps lacking education and knowledge on their chosen company, double check what the actual company puts out in their own publications. I am working on a price comparison between different EO companies and am finding the opposite of what you’re saying. And many companies get their essential oils from the same farms and/or regions. And it’s not just MLM companies who say their oils are therapeutic grade. So unless you’re willing to knock all the companies that do so, it seems unfair to make a blanket statement about just 2 companies. Yes, there are some reps that are strangely fierce, but I’ve seen the same fierceness coming from many certified aromatherapists too….and football fans, celebrities fan clubs, high school sports, etc. Some MLMs are set up in ways that make it difficult to be a rep with. I’ve been with 4 different MLMs before I joined the one I’m with now. So having been with 5 MLM companies gives me an edge on the differences. If you believe in the product, enjoy the industry, and serve people then it can be beneficial for the rep and all those he/she enrolls on their teams. I’ve seen the good, the bad, and the ugly of MLMs. It’s not all bad. Just like not all churches are bad or toxic. and I agree 100% with what Rachel said. Just as medical opinions can vary, so also can aromatherapists. And just because some reps make their companies and products look ridiculous, doesn’t mean they are the official spokes people for those companies. Kinda like how Westboro Baptist church isn’t the authority on Jesus. Thanks for your comment. I’m always up for new information and certainly open to something I may have missed. In my experience, all the MLMs really do say theirs are the only ones that should be used because of quality concerns. Maybe I missed some communication from one of those companies that said otherwise, and I’m perfectly willing to be corrected on that if you have a source! Perhaps I did generalize a bit too much there. I’m curious what you mean when you say you’re finding the opposite to be true. Opposite of what? This was my conclusion: “I don’t think MLMs are worth it. There are other companies out there with excellent, high quality products at more reasonable prices, and I don’t have to be in an MLM club.” So are you saying that there are no other companies with as high quality prices as the MLMs with more reasonable prices? Or are you simply saying that MLMs may be perfectly worth it depending on your preferences? My research has shown that the very point you made about most companies selling from the same suppliers also holds to those MLMs. Not just those two big MLMs. Seems like finding a company that has more reasonable prices, similar or better quality, and a more intimate relationship with their EO suppliers would be a good thing. Perhaps there is an MLM out there that fits the bill, but I haven’t found it yet. The part about the opposite being true was about the price comparison. You said MLMs have higher prices. 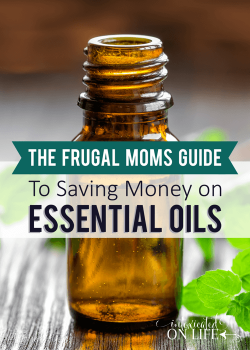 I have found other essential oil companies whose prices are actually higher (than doTERRA anyway, still researching the other one’s prices). Just curious, how would you define a more personal relationship between a company and their suppliers? How would you check on that? How would you know if they didn’t have a good relationship? As far as therapeutic grade goes..here are my thoughts. Prior to this term becoming a buzz word on the internet, a lot of people were unaware that they could utilize the essential oils and a personal practice at home unless they personally knew of an aromatherapist, a good massage therapist, or they shop at a natural food store. I think any essential oil company that uses the term is doing a good thing for the industry and for consumers. Knowledge is power and power should be to the people. MLM companies have various business structures and from my experience in 5 of them, they all had differences. It also takes a while to read, learn, and understand each business structure. Running a business takes a lot of training and personal commitment to the education needed to represent your business well and to be successful. Some MLMs work for some people and some people don’t like them at all. That’s perfectly acceptable. Everyone has the freedom to choose what works for them. A MLM is basically a buying club. Like Costco. You become a member and have access to the benefits, incentives, and prices. Each company has different benefits, incentives, and prices. When I was buying EOs from the natural food store, there was NO ONE there to educate me on essential oils. You could buy it and walk out the door not knowing anything about them. With an MLM company (or aromatherapist) you have access to personal communication and education about EOs. Granted, not all MLM reps have a strong education about essential oils, but if they’re attending their business meetings they should be learning a lot. I have seen a movement of MLM reps moving into aromatherapy certification and that’s a good thing. Aromatherapy schools can offer an organized approach to learning, instructors with vast experience in the field, and the certification lends credibility to an EO rep.
And yes, I saw your other article. I think I commented over on Google+ though. 🙂 Thank you for the conversation. I think it’s vital that we have these conversations. Consumers and companies alike. I have read what the companies claim and what I’m referring to is the trademarking of certain terms and the marketing of those terms to “educate” consumers that their essential oils are the highest quality. Such as “Certified Pure Therapeutic Grade Essential Oils (CPTG).” The communication I see from reps and MLM companies is that their CPTG oils (or whatever their particular trademarked term is) is the highest quality for the price and that other oils (implying *all*). I was thinking that perhaps there was an MLM I was unaware of that treats the therapeutic quality discussion more objectively, and if you knew of one I’d be interested in finding out! As far as the quality and relationship, I feel like I’d be repeating a lot of what I’ve already written or would be pulling in company information that is available elsewhere. Maybe I’ll tackle that in a future post about verifying claims on quality and relationships, but not here. I will say that when I researched the companies and their claims in these areas, I felt more comfortable with Native American Nutritionals/Rocky Mountain Oils. Rose Mountain Herbs is one I’ve been meaning to look closer at as well. I think the biggest difference to consider between MLMs and Non MLMs is the relationship they have with the people using the product. An MLM serves it’s distributors. These are the people that go out and sell the product. Their customer service is focused on the needs of their distributors and not the needs of the end user of the product. Their product is ultimately tailored towards making it easier to sell for their distributors. Because at the end of the day, the MLM makes money when the distributors are happy. This means they need to provide benefits to the product that help market it well such as nice acronyms, certifications, cute images, etc. Distributors have a sense of vested interest in the companies success since they are invested in the company because of their buy-ins, minimums, and so forth. In contrast. A non MLM company will maintain it’s focus directly on the end consumer. They make money when they provide the best experience for the end consumer. When you call their customer service it is tailored towards the needs of the actual customer. The products will be more focused on noticeable features. The end users to non MLMs have no pressure to stay with the company, so fancy marketing terms don’t work. This means that the company has to ensure it produces a product that is good enough to keep the customer coming back since the only thing to get the customer to keep coming back is the quality or price of the product. Some companies distinguish themselves by price. 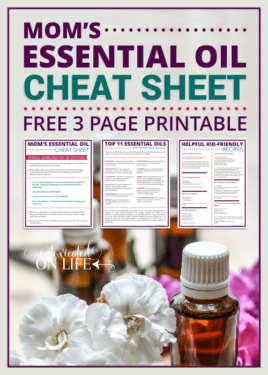 There are plenty of options for extremely cheap essential oils out there. If that’s your number one concern and you are happy to sacrifice some Quality to get there, then by all means that is probably the best option out there. Other companies will distinguish themselves with a premium quality. Full disclosure I work for Native American Nutritionals. At our company we distinguish by quality and less so by price. We understand this won’t fit everyone’s lifestyle and that’s ok. I guess at the end of the day, you want to figure out what is best for you. Do you want to make some money while working at home, then in that case the MLM option is probably best for you. 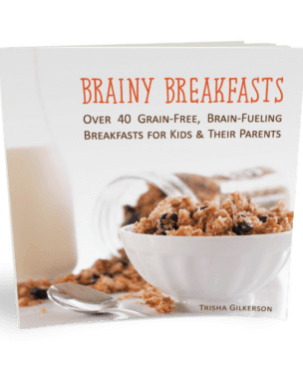 There are plenty of alternatives to choose from and it sounds like you have tested several out to find the best one for you and that’s wonderful. If you are trying to supply your family with essential oils and healthy supplements then you may not want to be as invested as an MLM requires you to be. If this is for you then you will want to look at companies that offer more frictionless ordering, and that are targeted directly at helping you and shipping fast. Decide how important quality is. If you take an oil like Frankincense. The quality matters very significantly. You can pay as little as $5 on amazon or as much as $100. If you are using it for the smell then the $5 oil might do the trick. If you are using it to stop unhealthy cell growth (something frankincense is very good at) then you might want to look at something like a Sacred Frankincense which will have those extra properties in it that can only come from careful growing and distillation practices. Find the balance between quality and price that works for you. This is an excellent conversation, some really good points have been made. I would like to add two more thoughts. The first being that according to Federal laws, cosmetics and food supplements have to list all the ingredients on the label. So if a certain company does not honestly list everything in the bottle of essential oil then it is another good reason to not shop with them. Secondly: Thirty plus years ago essential oils were used in the food industry and the perfume industry and a few hippies used them. So the producers were more concerned with volume than with quality. But since then consumers have learned of the wonderful health benefits of essential oils so the demand for high quality has driven producers to make better oils. (Young Living is probably a major contributor on that score.) That is one reason why it bothers me when a company implies no other company has quality oils. Absolutely LOVED this post, and totally agree with you regarding the two main MLM brands, and how their reps can attack ( which I detected in the comments already lol) and defend their brands like mad. I use one of them and have loved the quality but the pricing is so high, and we want to try other oil companies, especially ones outside the MLM sphere. I was just writing on another blog about the fact that the majority of time we have a spammer in our family’s Holistic Family’s group, or a person who acts like a troll or attacks other members, it’s frequently from one of those two EO companies. It’s so rampant in Facebook groups ( incessant promotion and attacking by EO reps) that I’ve seen some groups flat out say in their policy ‘no MLM recruiting or promotion of your essential oils’ because they are so often the ones doing it! And this extends from our experience on Facebook to in the blogging world and beyond. It’s poor salesmanship and turns me off of both brands. And it’s not ‘just a few reps’ as someone said, it’s the majority I’m afraid that are promoting on social media. Thank Elizabeth! I appreciate your comment and I think you’re completely right. That kind of strange defensiveness and spamming is a complete turnoff and it does seem to be rampant on social media. It seems you have someone very deeply involved with NAN helping you along with this research. I’m curious what type of testing these oils go through (if they do?) and how they keep the cost of the oils lower while managing to pay for the testing? I’m absolutely not trying to be nasty in any way. I’m asking as a consumer who is curious. Young Living Essential Oils. Final Answer to all your questions. No Lies. I used Mountain Rose Herbs, who state whether the EOs are from organic or regular farms, or wild harvested, etc. Love their products but they can no longer ship to Canada. So now I’m looking for a good brand without buying from an mlm company. If possible, I’d love to edit my comment from this morning. 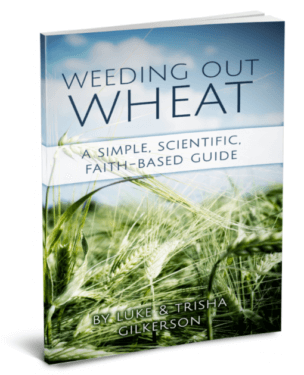 Glad to have found another Christ centered blogger! I appreciate your tone here in this post. Whether or not a essential oil company is an MLM is not as important a question as whether or not it is a “marketing” company or a “farming” company. A very important aspect for everyone to consider in choosing essential oils is to ask yourself if the the company is an oil broker or a farming/oil distillation company. When I coach people about food and ask them to get to know their farmers if at all possible, and to visit the farms. If you pay extra for it being farmed right you should be able to see it for yourself. Same goes for your oil company. When you are allowed to visit, ask questions and even help plant and harvest, your experience is a much greater. You actually gain an education of what goes on to make essential oils. If a company does not have its own farms, then quality control is a much greater issue. Factors such as seeds, soil, harvesting timing and distillation time greatly effect the potency of the oils. In full disclosure I have used Young Living with my family and have been to their farms in Utah and Ecuador and hope to visit their other farms throughout the world. Thank you for your beautiful blog. I look forward to reading more and sharing your work. Am I missing something here – Native American Naturals seems to be the same price on most oils as one of the biggest MLM brands I know. I don’t understand why you are saying price is a category to discredit them by then? Also they have loyalty programs which you can get even more discounts and free products. This makes them much cheaper actually! Also in terms of your criticism over their marketing tactics what is wrong with coming up with your own standard for testing? Surely it is better than not having any standards or just using the basic GC/MS testing that most companies do. This standard is the reason they feel confident about labeling their oils for ingestion or undilution. You should do a bit more research about this before you knock it. They honestly don’t mislead people into thinking it is an industry standard – they make that quite clear. Native American Nutritionals looks like a good brand so I can see why you chose them. I also love all the other blogs you wrote about aromatherapists! Just a bit disappointed to see you jumping on the bash MLM bandwagon here for weak points. I have found Rocky Mountain Oils to be cheaper than the MLMs (wholesale) by 20-30% on average. So I’m not sure what you mean. I should check my wording. What I meant was that assuming that YL or doTerra has a higher quality oil than another company simply because they labeled their oils “therapeutic grade” is not accurate and implies that there is a governing body standardizing these labels when there is not. But I’m all for stringent testing and quality.